Healthy Hound Bakery has dog treats for every dog size and taste. 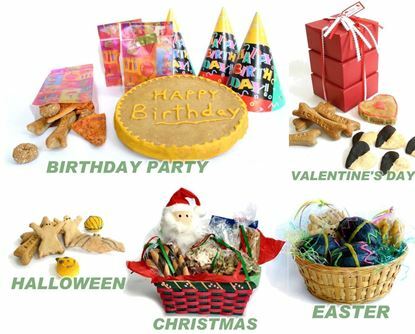 Your dog will absolutely love them! And won't have to worry about giving treats to them because our dog treats are made with the same wholesome ingredients that you would expect in foods you eat. No preservatives or additives. 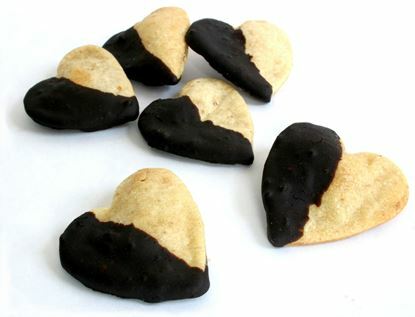 Your dog is sure to love you when you give these heart shaped gourmet dog treats. Peanut butter heart shaped cookies hand dipped in carob. 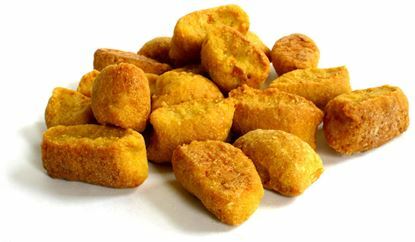 Bite size flavorful nuggets. 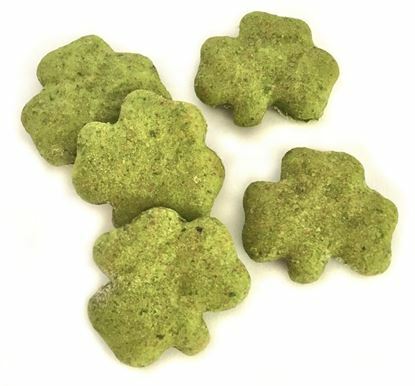 Perfect for training reward or tasty treat for small dogs. 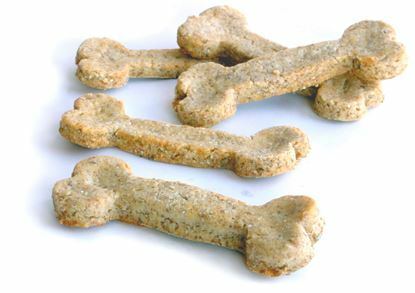 Made with rice and rye flour, and pureed chicken, these treats are sure to satisfy those dogs with wheat alergies. 6 oz. Your special dog(s) will receive our signature gifts during the most popular Holidays of the year.